Britain's parliament to debate whether to ban leading Republican candidate from entering the country. 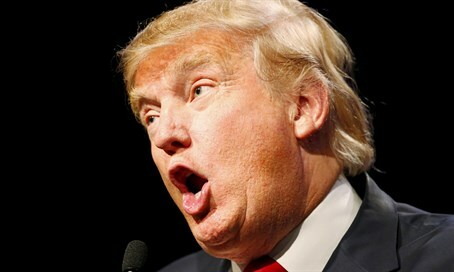 Two online petitions will force Britain's parliament to debate this month whether to ban leading Republican candidate Donald Trump from entering the country, the legislative body's petitions committee said on Tuesday, according to AFP. The move comes after almost 570,000 Britons signed an online petition calling for Trump to be barred from Britain for "hate speech" after his controversial comments targeting Muslims, Mexicans and others, the report noted. In addition, some 40,000 people have signed an opposing petition calling for him not to be banned, saying comments made on the American election trail do not concern Britain and citing possible complications to future U.S.-British ties. Parliament's 11-member petitions committee said both petitions will be debated on January 18, according to AFP. British lawmakers are obliged to consider for debate any petition on the government's official petitions website that reaches 100,000 signatures, but no decisions are taken at the end of the debate. One may recall that recently, an online petition calling for the arrest of Israeli Prime Minister Binyamin Netanyahu for “war crimes” during a visit to the UK passed the 100,000 mark. But the government has in the past blocked some controversial figures from entering Britain due to concerns about hate speech, AFP noted. Trump’s recent call for a temporary ban on Muslim entry to the United States due to security concerns stirred up controversy at home and abroad, with one of those responding being British Prime Minister David Cameron, who said Trump's comments were "divisive, stupid and wrong".